01182013_Becherer_IraqMedical021: Doctors of War: Casualties of War: Global News Portfolio: New Orleans based Photojournalist covering the Deep South and beyond. 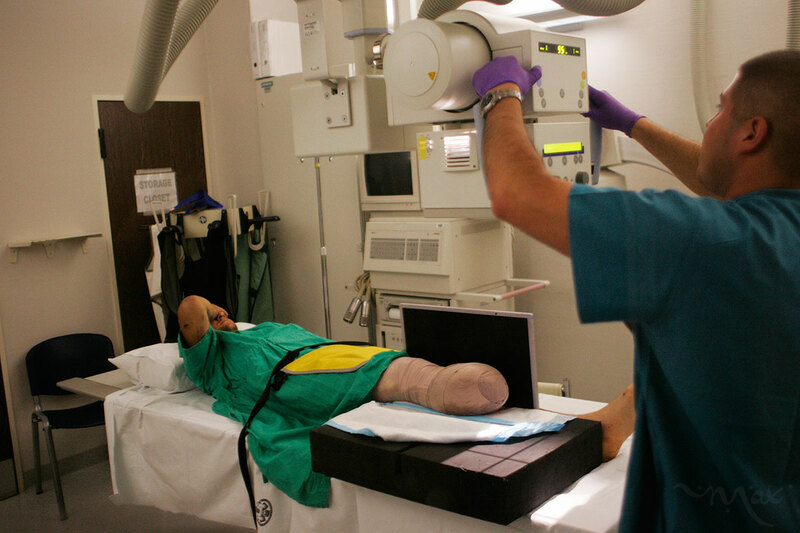 Specialist John Mora adjusts an x-ray machine for Marine Lance Corporal Matthew Schilling at the Landstuhl Regional Medical Center of his amputated right leg and shrapnel ravaged left hand. The 162-bed Landstuhl Regional Medical Center is the largest American Hospital outside of the United States. The hospital serves wounded service members from Iraq with approximately 110 physicians, 250 nurses, 40 medical service corps officers, 900 enlisted personnel, and 550 civilian employees.